Pentagon Federal Credit Union has grown into one of the country's largest credit unions by offering solid financial products to military families and their supporters. Their PenFed Platinum Rewards Visa Signature® Card offers outstanding value for families that spend a lot of money every year at gas stations and grocery stores, all with no annual fee. For this reason, the PenFed Platinum Rewards Visa Signature® Card was named a 2019 CardRating's Editor's Choice Award winner for Best Gas Rewards card. Redeeming your points requires a quick trip to PenFed's online rewards center, which will look familiar if you've ever used similar tools from the Chase Ultimate Rewards® or Citi ThankYou® programs. Although the site offers a handful of electronics and household goods, you'll generally get the best value by trading points for Visa prepaid reward cards or instant e-certificates to retailers like Amazon and Gap. Like other PenFed credit cards, the PenFed Platinum Rewards Visa Signature® Card charges no foreign transaction fees. That can make a big budgetary difference to military personnel deployed overseas, saving between 3 and 5 percent on every transaction compared to most credit cards. PenFed also includes comprehensive travel accident insurance for members and their families traveling on itineraries purchased with this card. 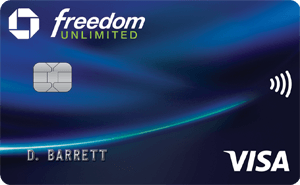 The big banks' best gas credit cards can't stand up to the PenFed Platinum Rewards Visa Signature® Card. 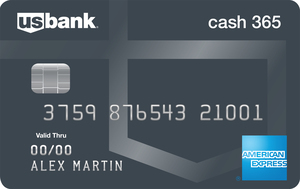 Although cards from Chase, American Express (American Express is a CardRatings advertiser) and Discover offer occasional 5 percent rebates on U.S gas purchases, their offers usually expire after a few months or come with spending caps. Most co-branded gas cards top off their rebates at about 3 percent, while requiring you to track down a participating gas station. PenFed doesn't restrict members' earning potential on their 5 point gas rewards. In fact, the promotional materials for this account advise cardholders to use their cards as much as possible to earn extra rewards. This card offers top-of-the-line rebates when you pay at the pump for your gas – five points per dollar or the equivalent of 5 percent. Purchases at grocery stores also earn bonus returns – three points per dollar. Our 2019 Editor's Choice pick for Best Gas Rewards. Earn a $100 bonus after spending $1,500 on the card in the first 90 days. This card really benefits people who spend a lot at gas stations and grocery stores, in particular. If you don't spend a lot on in those categories, there are likely better card options for you.